This article is part of the Democracy Futures series, a joint global initiative with the Sydney Democracy Network. The project aims to stimulate fresh thinking about the many challenges facing democracies in the 21st century. In 1085, almost two decades had passed since William the Conqueror’s victory at Hastings, but his realm was not secure. The threat of internal insurrection was constant. To consolidate his rule William needed to know who owned what, what taxes he could raise and where the military capacity he could call on, or which could be deployed against him, was located. To find out, William commissioned a “Great Survey”. Royal officers were dispatched to make a detailed inventory of holdings in villages and towns across England. The results were recorded in the Domesday Book, as it came to be known. Like the Last Judgement of God, its findings were final and could not be revised or appealed against. It is shameful to tell, though he thought it no shame to do it, not even an ox, nor a cow , nor a swine was there left, that was not set down in his writ. William presided over a feudal system. Everyone was subject to his arbitrary and unaccountable power. The majority laboured as serfs on land owned by lords who demanded the lion’s share of their produce. The lords also had access to land and resources held in common that supported a degree of self–sufficiency. The enclosure movement dismantled this system. That led to a political struggle to compel the new political and economic order of capitalism to recognise and uphold the rights of citizens to elect governments and hold them accountable. By recording every key stroke or screen touch, every email, every posting, every page viewed and every person contacted, and by using this data in the pursuit of security and profit, the present regime of saturation surveillance is re-inventing the Domesday Book for digital times. The result is a profound contradiction at the heart of formally democratic societies. While the fine detail of our daily lives becomes ever more available to governments and corporations, many of their activities remain concealed behind walls of “national security” and “commercial confidentiality”. The revolutionary crowds in Paris in 1789 demanded a social and political order grounded in liberty, equality and mutuality. Saturation surveillance undermines all three of these core principles. It returns us to a condition of serfdom, where we look to increasingly unaccountable powers to guarantee our safety, security and labour in the virtual fields owned by online landlords. In doing so, we grant them control over our personal data and our produce. To understand how we have arrived at this situation, we can usefully begin with shifting perceptions of threat. The modern state security complexes in the US and UK emerged in the years surrounding the first world war. In 1914, the British Secret Service Bureau – which had been launched in 1909 – was split into two. The Security Service (MI5) assumed responsibility for domestic intelligence, while the Secret Intelligence Service (MI6) took charge of foreign intelligence. In a parallel development, in 1908 the US established a domestic intelligence agency, the Bureau of Investigation. This was the precursor of the Federal Bureau of Investigation (FBI). Against a background of mass migration, domestic surveillance came to focus on “enemies within”, or immigrants who championed “alien” ideas. Anarchist activists were a particular concern, fuelled by the bombing of the Royal Observatory in London in 1894 and bombings in seven cities across the US in June 1919. On July 7, 2005, four young British men detonated rucksack bombs in London, three in the underground system and one on a bus. They killed themselves and 52 others, as well as injuring more than 700 people. One was married with a child and employed as a learning mentor in a primary school. Another lived with his parents and worked in a fish and chip shop.A cartoon in The Philadelphia Inquirer depicted the threat as a heavily bearded man in a turban creeping under the American flag and holding a torch labelled “anarchy”. It was an iconic image, recently resurrected with little or no modification to depict jihadists, the new “enemies within”. It was precisely this appearance of ordinariness that caused most concern. The enemy within was no longer arriving from overseas. Instead, they were nationals who gave every appearance of being assimilated. The London bombings confirmed for the intelligence community that identifying potential terrorists was becoming more difficult. The familiar, paramilitary styles of organisation typified by the notorious Irish Republican Army were being replaced by “new”, more fluid forms. Activities are planned independently by small groups or “freelancers” (not formal members of an organisation) inspired by ideological appeals. Tackling this dispersal was seen to require a shift from selective monitoring to saturation surveillance. This gained impetus with the addition of economic disruption to the list of internal threats. In 1984, Margaret Thatcher had famously applied the label “enemies within” to British miners striking in protest against plans for wholesale pit closures. A decade later, this stretched definition was given statutory authority when the Intelligence Service Act included defence of the UK’s “economic well-being” as integral to “the interests of national security”. This legitimated extended surveillance of groups protesting against leading energy, agri-business and pharmaceutical companies. In 2012, reporting on the operation of the Terrorism Acts of 2000 and 2006, the independent reviewer noted the “extreme breadth of the definition of ‘terrorism’ in the UK”. Widening the circle of “persons of interest” placed increasing strains on the apparatus of surveillance. Standard techniques of “human intelligence” are based on first-hand observation and running agents and informers. These are time-consuming and labour-intensive. Since 1919, when the US government established the Cypher Bureau and the UK government launched the Government Code and Cypher School, they have been supplemented by monitoring electronic communications and, where encryption is used, code-breaking. Following Allied success in breaking the Nazi Enigma codes in the second world war, “signals intelligence” moved rapidly up the list of priorities for effective surveillance. 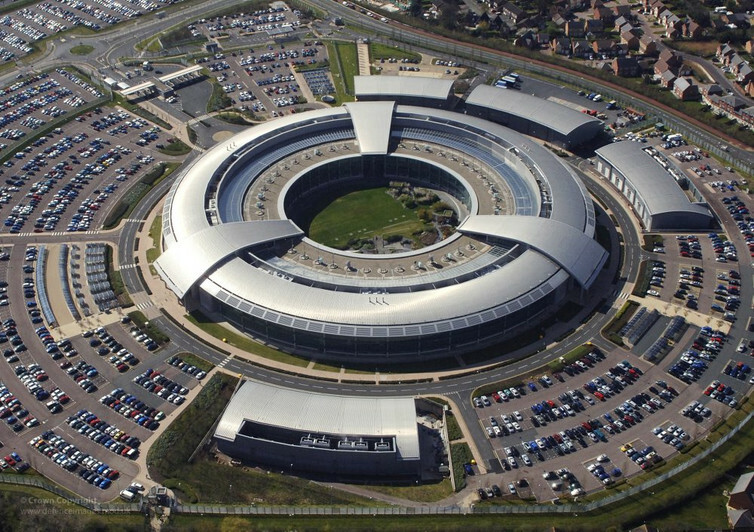 Operations were consolidated in two new institutions: the National Security Agency (NSA) in the US in 1952, and the Government Communications Headquarters in Britain in 1946. The internet greatly extended the options available for monitoring telecommunications traffic. As everyday exchange and interaction moves online, valuable information about users’ talk, habits, interests and social connections, which were previously labour-intensive to compile, has become available on tap. The principal initial beneficiaries of this expanding pool of personal data were the companies that came to dominate everyday internet use. These were Amazon (1994) in online retailing, Google and Yahoo (1995) in search and email, and Facebook (2004) in social networking. All adopted saturation surveillance as a business model, assembling detailed user profiles to craft more precisely targeted advertising appeals. They also reserved the right to convert participants’ postings into intellectual property that they owned and controlled. They established themselves as digital landlords. Users were treated as digital serfs who relinquished all title to the value of their activity and labour in return for residence on one of the new virtual estates. The rapid expansion of readily available digital data coincided with the growing security consensus that identifying threats required access to any and all information that might provide an early warning. 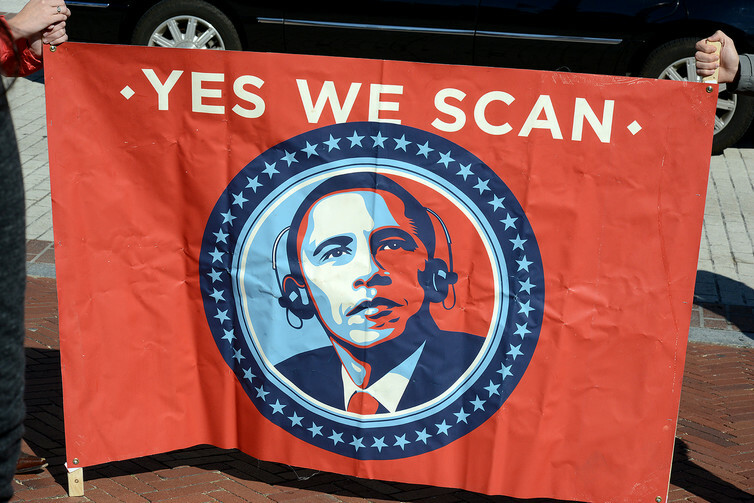 As the files leaked by Edward Snowden make clear, the NSA was siphoning off huge amounts of user-generated data as it moved across the open internet. This concerted effort was codenamed PRISM – the Planning Tool for Resource Integration, Synchronisation and Management – a designation celebrating the convergence of security and marketing. … the interception agencies do not engage in indiscriminate mass intrusion. Two months later, mobile phone operator Vodafone revealed that secret wires attached to its networks allowed government agencies direct access to all conversations passing through them. Just over a week later, the government’s top security official argued that since the sites involved were located outside UK individuals’ uses of Google, Facebook, Twitter and YouTube, they were classified as “external communications”. They therefore fell outside the scope of current legislation. The saturation surveillance employed to assemble the new digital Domesday Books undermines the core principles on which citizenship is based. Its collection compromises personal liberties. By erecting categorical distinctions that assign stigma and guilt, its analysis undermines equality of treatment and corrodes the solidarities on which democracy ultimately rests. Like the compilers of the original Domesday Book, its architects display no shame in doing this, or in returning citizens to the status of subjects. But the Domesday story also highlights the centrality of the commons in William’s England, and the vitality of a moral economy based on communal control of shared core resources. Remembering this prompts us to see the battle for full digital citizenship not simply as a struggle to rein in the scope of state surveillance and transfer control over the uses of personal data from corporations to individuals. Instead, it is the latest stage in the struggle against commercial and governmental enclosure and for the commons. Imagining how a digital commons might be organised and how we might move towards it is arguably the greatest conceptual and political challenge we face.